Ukraine, while regaining clearance as an approved wheat exporter to Egypt, will have to wait longer to win an order, being undercut at tender by supplies from neighbouring Russia. 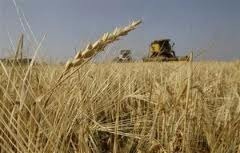 Ukrainian wheat was offered at $249.92 a tonne at the first tender by officials at Egypt’s General Authority for Supply Commodities (Gasc) since they readmitted the Black Sea country as a supplier. That price beat offers from most countries once freight was factored in, proving some $23 a tonne below the cheapest French supplies, and $24 cheaper than Argentine wheat. However, it failed to beat the $243.33 a tonne at which Louis Dreyfus offered Russian wheat, of which Egypt, the top importer of the grain, bought 120,000 tonnes. The continued Russian stranglehold on Gasc business, with orders now approaching 2.5m tonnes in less than four months, comes despite signs of a slowdown in the country’s strong pace of shipments since it resumed grain exports in July. SovEcon, the Moscow-based analysis group, on Thursday estimated Russian grain exports easing to 3.4m tonnes this month, from 3.8m tonnes in September, and with further falls expected in November and December. The forecast reflects ideas that easily-accessible supplies near Russia’s Black Sea ports are running short, leaving merchants to search for more distant supplies requiring greater use of squeezed rail capacity. Ukraine, meanwhile, has a backlog of unsold wheat, after its 2011-12 grain shipments got off to a dismal start, undermined by export duties, which were scrapped this month. The reluctance of merchants to price Ukrainian supplies more competitively yet may reflect "lingering uncertainties" over the lifting of the export ban, worsened by the dryness which has afflicted autumn sowings, Luke Chandler at Rabobank said. "The poor start to next year’s crop may raise uncertainties that they will reinstate some kind of export curbs," Mr Chandler told Agrimoney.com. "Clearly they have supplies to export. But perhaps they will tread carefully before bidding more aggressively." Official Ukrainian data shows that only some 53% of autumn-sown wheat has emerged, leading to expectations of large-scale replanting in the spring. Last year, 87% had emerged by late September. Coupled with the weak start to US hard red winter wheat, "these creeping concerns have the potential to add further support to grain prices on a 6-12 month horizon", Paul Deane at Australia & New Zealand Bank said.